A Rotherham MP has warned that an investigation into historical child sexual exploitation in the town has placed ‘unprecedented and unbudgeted pressures’ on the local authority. Sarah Champion MP, Member of Parliament for Rotherham, is set to make the warning during a Parliamentary debate she has secured on what she describes as the ‘growing crisis in children’s care services’. Ms Champion says she plans to set out the challenges facing Rotherham and the Government’s failure to support the council in meeting the unique circumstances it faces as a result of gang related child sexual exploitation. 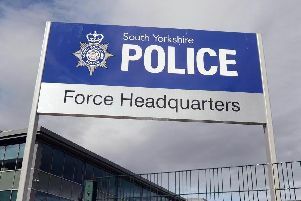 She will point to the impact of Operation Stovewood, the National Crime Agency’s investigation into past child sexual exploitation in Rotherham between 1998 and 2013. “Operation Stovewood has placed unprecedented and unbudgeted additional pressures on the authority. Ms Champion will also argue that recently announced additional funding to assist councils across England and Wales with rising numbers of children in care risks penalising good practice. There are currently 22 separate investigations under the Stovewood umbrella, with 153 suspects identified and 300 complainants engaging with officers. A total of 24 suspects have been charged and 15 have now been arrested and bailed or released under investigation. The Department for Education has indicated the majority of the £85m of announced funding is likely to go to councils that OFSTED deems to be ‘Requiring Improvement’. Rotherham, which has been awarded a ‘Good’ rating, is therefore unlikely to benefit. “It is outrageous that Rotherham, after working so hard and in such incredibly challenging circumstances, isn’t rewarded for its success, it is punished. “Funding should follow the greatest need and, with the third largest increase in the number of children in care of all local authorities, it’s hard to argue more support isn’t needed,” said Ms Champion. She added: “I am relieved to have secured this important debate and the vital opportunity it provides to set out to the Government the real scale of these problems. “Rotherham faces unique challenges. But it also has to deal with the real and widespread pressures affecting children’s service across the country. The Adjournment Debate on Funding for Children’s Social Care in Rotherham is set to take place on Tuesday, February 5.